The difference between a BAK Industries rolling cover and other rolling covers is the fact that ours are hard and not soft. 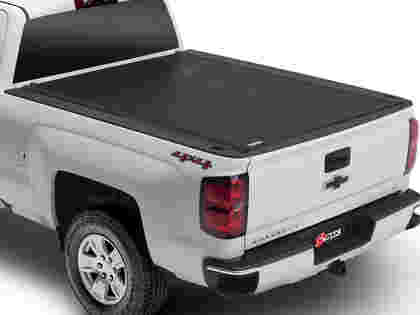 The patented designs of BAK rolling tonneau covers ensures that our truck bed covers can handle heavy duty loads of weight, are incredibly secure, and never flop around in wind or while driving. 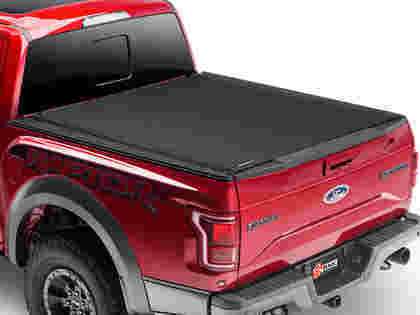 Combining the value of a soft tonneau cover with the security of a hard tonneau cover is what you'll find in a BAK Industries Hard Rolling Tonneau Cover. The Revolver X2 is easy to use and provides unrivaled strength, security and style all in a hard rolling cover. All-new matte finish vinyl, side rails and seals give the Revolver X4 a stylish matte finish and complement your truck's OEM features.